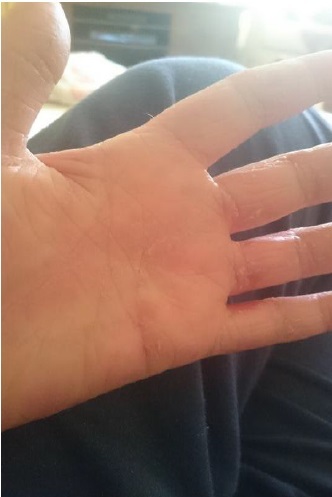 Healthy, moisturised hands in just 1 month! 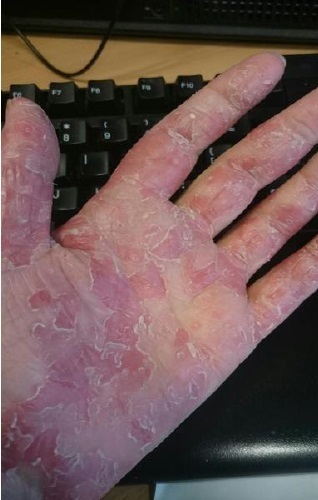 Whether you are working in an environment that handles irritant chemicals or sitting under the air conditioning all day, it all takes a toll on hands, leaving you with dry and irritated skin. Losing moisture from your skin is far easier than putting it back in again: regular lotions don't absorb well enough, wash away or leave your hands soft only until the next time you wash them. So what are you supposed to do in order to provide your hands with enough moisture? 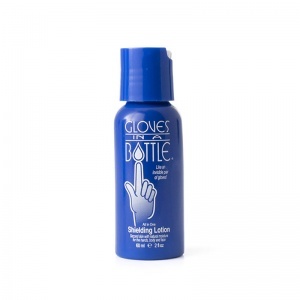 Use Gloves in a Bottle, that's what! 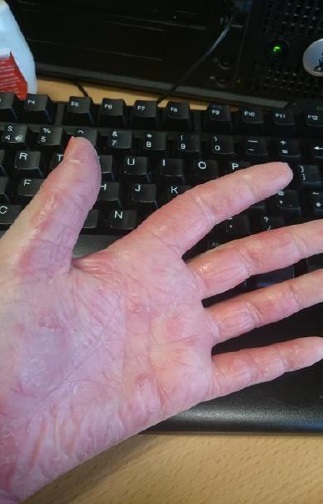 Forget hourly applications of ineffective lotions in a desperate attempt to make skin feel softer for longer, with Gloves in a Bottle you only need one application for all-day moisture and, more importantly, a barrier against the elements that damaged your poor hands in the first place! What Are Gloves in a Bottle? 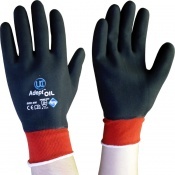 Take the protective nature of gloves and put them in a bottle, and you'll be left with Gloves in a Bottle - all the shielding protection of gloves in a simple to apply lotion. Creating a barrier between the skin and the damaging chemicals, temperatures or environment that so easily lead to chapped and dry hands, Gloves in a Bottle protects the skin while keeping it well moisturised and also giving it a chance to breathe and heal. This skin-friendly breathability makes it ideal for skin conditions like Eczema where smothering the skin in thick lotions often prevents the natural healing process. As good as wearing gloves! See for yourself the gloves in a bottle in action! 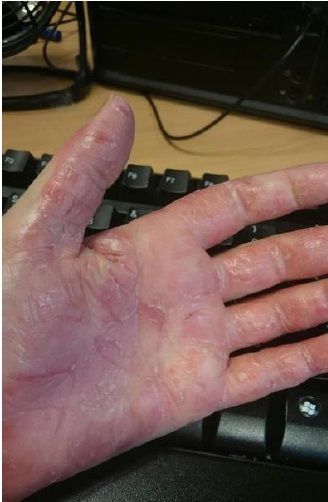 If you wish for more information and to see the effects for yourself, read this case study.